I’ve just returned from a mammoth 5 week trip to Indonesia, which turned into a real epic. I started with a few chilled out days at Siladen Resort, diving in the wonderful Bunaken National Park on the west coast of North Sulawesi. Following this I was a guest speaker at the 2011 Celebrate the Sea festival. The Sunday was a particularly special day with talks by Michael AW followed by legends Howard and Michele Hall and rounded off by the indomitable Emory Kristof of National Geographic. I then headed off the beaten track on assignment to Gorontalo, courtesy of a 10 hour 4×4 journey. 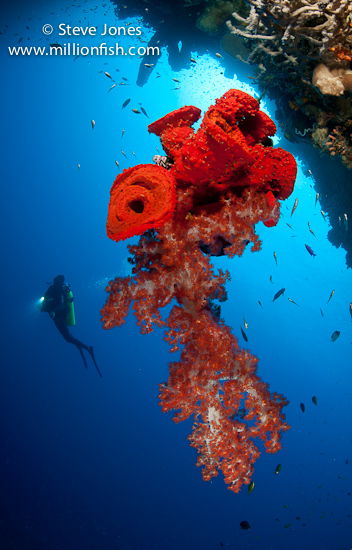 Rantje Allen’s team at Miguel’s diving showed me some truly special dive sites that you can read about in a future issue of Ocean Geographic. 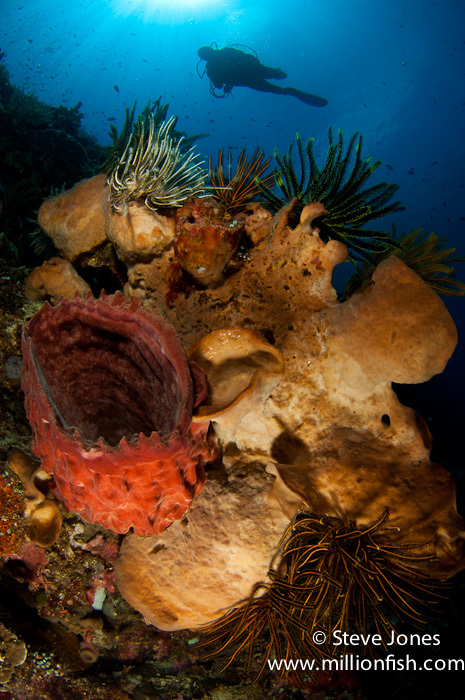 I then headed back to North Sulawesi for a few days diving with Eco Divers in Lembeh Straight. Their resort has a different set up to your standard fayre, as they have modern luxury cottages located a little inland and all the diving is done from a permanently moored liveaboard anchored right next to some of the best diving in Lembeh straight, to which we were efficiently transported to every morning. I found the operation to be particularly suited to the needs of underwater photographers, and I spent no more time hauling gear around than I do on liveaboard boats ie. none! The whole thing ran like clockwork and I’ll be going back for sure. The final part of the trip saw me head into Papua to lead the Ocean Geographic whaleshark expedition to Cenderawasih Bay. We used the MSY Seahorse to get us there, and she is a truly excellent ship with a fantastic crew. The sharks were on good form and after 5 days of diving under the bagans (traditional Indonesian fishing platforms) we were sorry to leave. 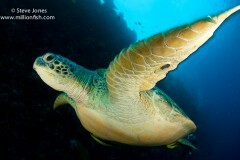 The 2 day journey back to port however, enabled us to enjoy some fabulous diving on untouched reefs. Accounts of the trip were published by the Telegraph and the Daily Mail in the UK, as well as MSN and AOL.